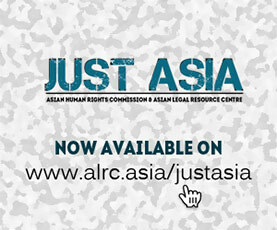 The Asian Human Rights Commission (AHRC) has received information that a law student Mr. Dasanayaka Mudiyanselage Thushara Jayarathna of No: 4/8, Edirisinghe road, Nugegoda, a final year student of the Sri Lanka Law College, has complained to the Keselwatte Police Station and other law enforcement agencies of the country regarding a malpractice which occurred at the recently held exam at the Sri Lanka Law College. The Keselwatte Police recorded his complaint only after the intervention of the Police Headquarters. However, the other agencies refused to accept his complaint. He is now receiving continuous threats to his life. Further, the Registrar of the Law College has contacted him by telephone and threatened him to withdraw his complaint. Neither the complaint about the malpractice at the exam and the threats to Thushara’s life have been investigated. The life of this student is in very serious danger and this case is yet another illustration of the extreme nature of the exceptional collapse of the rule of law in the country. According to the information that the Asian Human Rights Commission has received, on the 3 December, a final year student of the Sri Lanka Law College, Mr. Dasanayaka Mudiyanselage Thushara Jayarathna of No: 4/8, Edirisinghe Road, Nugegoda discovered that one of the papers for the final examination held recently at the Law College for which he sat had been leaked before the designated time which clearly constitutes a malpractice in the exam procedure of the Sri Lanka Law College. He immediately made a complaint to the invigilator of the exam and to the principle of the Law College but neither person accepted his complaint nor took steps to investigate the incident. On the same day he attempted to make a complaint to the Keselwatte Police Station about the incident but his they refused to record his complaint. Upon learning of their refusal he then made a complaint to the Police Headquarters in Colombo regarding the irregularity that occurred at the Keselwatte Police Station and it was only after the intervention of this office that the officers at Keselwatte Police Station recorded his complaint under the number M.O.B. 81/39. However, to-date no inquiries have taken place on the basis of his complaint. When Thushara realised that no action was going to be taken he attempted to record a further complaint at the Commission against Bribery and Corruption, but his request was once again turned down. One of the officers explained to him in Sinhala that it is the law of nature for big animals to eat the small ones, and that if he did not learn to live with this understanding, he might find it difficult to survive. Despite having managed to record his complaint at Police Headquarters and by way of an affidavit to the Chief Justice of Sri Lanka and the Registrar of the Supreme Court no action has been taken to initiate any inquiry into the leakage of the paper or to declare the particular paper invalid. Thushara then came under severe pressure when the Registrar of the Law College made threatening calls, demanding that he withdraw the complaint. He also received threats from other quarters and, for his own security, he had to stay away from sitting for two subsequent papers. He now lives in hiding for fear of his life. It is believed that a powerful politician’s son is sitting for this same exam and that this why there is reluctance on the part of the Law College authorities and all other agencies to intervene into this issue. The Asian Human Rights Commission calls on the Sri Lankan government and also the Inspector General of Police to provide security for Thushara Jayarathne. The AHRC is fully aware of the Sri Lankan record of causing forced disappearances and is therefore particularly concerned about the security of this student. The Law College is a premier institution for the training of lawyers in Sri Lanka. In recent times, the reputation of the college has begun to degenerate with widespread rumours and allegations of corruption at various levels, including at the stage of admission of students. That the institution that trains lawyers is facing this situation is an indication of the widespread lawlessness that has spread into the judicial system itself, due to the phenomena that is called politicization. In essence, politicization means the control of all aspects of society and life by the direct influence of the executive presidential system. The idea of independent institutions has been rapidly lost. The Executive President is above the law and not answerable in any manner to any court. The AHRC has constantly pointed out that the supremacy of law has been undermined in Sri Lanka and that the authority of the judiciary itself has been reduced to a marginal position. This incident about the leakage of a question paper is only the tip of the iceberg. The larger tragedy is the rule of law system itself. What will be the role of lawyers who pass exams in this manner? Will they enter the legal profession with any sense of respect for the basic norms of the rule of law? Would it be a surprise if young lawyers who pass in this manner would exploit all possibilities of corruption within the legal profession? Some of them may also enter judicial positions. The trustees and authorities of the Law College bear the responsibility to investigate this incident as well as the general criticisms about the corruption of their institution. Many of them may plead that the power balance in the country has so shifted that they are unable to exercise the kind of authority that is required for the running of an institution with required norms and standards. However, this is no excuse for their culpability. If the situation has so degenerated, then it is their duty to declare it so and to resign in protest. So long as they silently participate in this process, they too are guilty of destroying the very foundations of the rule of law and the legal profession itself. The AHRC has reported innumerable cases that reveals the intentional inaction of criminal investigations by the Sri Lankan police. This of course is illegal under international and local law but is takes place at different police stations in the country over the past years. Article 12 (1) of the Constitution of Sri Lanka has guaranteed the right to be treated equally before the law for all persons as stated that ‘all persons are equal before the law and are entitled to the equal protection of the law’. Furthermore, Sri Lanka has signed and ratified the International Covenant on Civil and Political Rights (ICCPR). Nevertheless the lack of protection offered to those who are willing to take cases against abusive police officers and the state authorities, means that the law is under-used continues to be employed as a tool by the police to harass people. This not only takes a long-term toll on the victim and his or her family, but on society as a whole, by undermining of civilian respect for the law and encouraging impunity. Please send a letter to the authorities listed below expressing your concern about this case and request an immediate investigation into the malpractice by the authorities of the Law College and the failure of the police to carry out any competent investigations. Please further request the Sri Lanka Police to provide protection for the threat to the life of Thushara and investigate and prosecute those responsible under the criminal law of the country. The officers involved must also be subjected to internal investigations for the breach of the department orders as issued by the police department. Further, please also request the IGP to carry out a special investigation into the malpractices of police officers who abuse their powers in favor of private parties. The AHRC has also written a separate letter to the Special Rapporteur on Extra-judicial, Summary or Arbitrary Executions on this regard of United Nations on this regard. I have received information that on the 3 December, a final year student of the Sri Lanka Law College, Mr. Dasanayaka Mudiyanselage Thushara Jayarathna of No: 4/8, Edirisinghe Road, Nugegoda discovered that one of the papers for the final examination held recently at the Law College for which he sat had been leaked before the designated time which clearly constitutes a malpractice in the exam procedure of the Sri Lanka Law College. He immediately made a complaint to the invigilator of the exam and to the principle of the Law College but neither person accepted his complaint nor took steps to investigate the incident. Thushara strongly states that inaction of an official duty by a police officer should be prosecuted in court. It also constitutes a situation of the violation of fundamental rights guaranteed to him by the Constitution of the country. I further request your urgent intervention to ensure that the authorities listed below instigate an immediate investigation into the life of this student. I am also requesting that the police officers who ignored his complaint, obviously in favour of the suspect, should be investigated and if proven guilty punished under the law of the country.